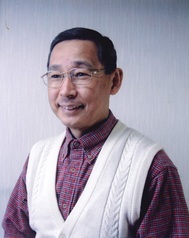 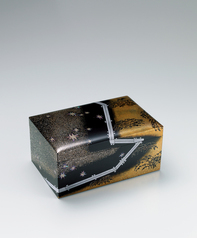 Maki-e (sprinkled picture decoration) took hold in the Edo and Meiji periods; I want to reexamine the concepts underlying the techniques and materials, and their application from the perspective of maki-e being a true part of contemporary Japanese culture. 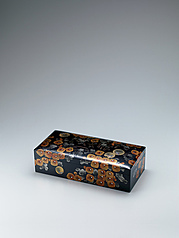 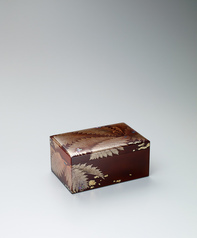 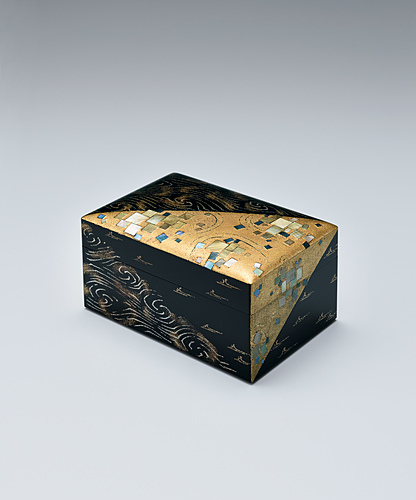 Rectangular box with small bird and chrysanthemum thicket design in makie. 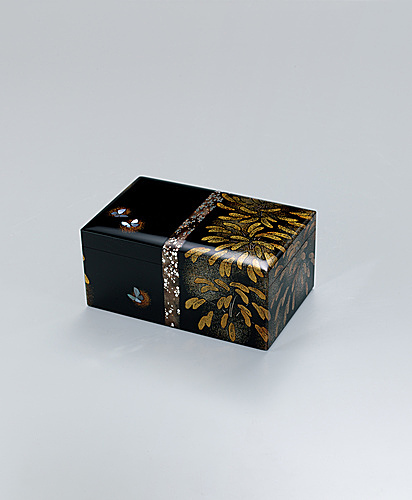 Box with fern design in makie and uruminuri.